The turn-based puzzle game challenges players to complete stages by moving protagonist Adam Jensen between nodes in the environment. Square Enix Montreal announced the release of Deus Ex GO on iOS and Android. The turn-based puzzle game challenges players to complete stages by moving protagonist Adam Jensen between nodes in the environment. In each stage, players need to reach the exit node by either defeating or avoiding enemies. Each time players move Jensen from one node to another, enemies may also move. Gamers need to keep track of enemy movements in order to complete each level. While the first few levels contain stationary enemies, who will only move when Jensen enters their line of sight, stages become more complicated as players progress. This includes the introduction of moving enemies, gun turrets and more. Users will also be introduced to computer nodes, which allow them to hack gun turrets or manipulate node tiles. For instance, players may be able to cause nodes to disappear or reappear as needed. Players can also collect invisibility power-ups in some stages. These power-ups allow Jensen to safely walk past turrets or enemies, or attack enemies without being spotted, but their effects are temporary. If players become stuck on a level, they can use a hint to reveal its step-by-step solution. Users receive two hints for free, and they can purchase additional hints via in-app purchase. Deus Ex GO contains more than 50 story levels to complete. In addition, the game will be updated with a new puzzle each week day. 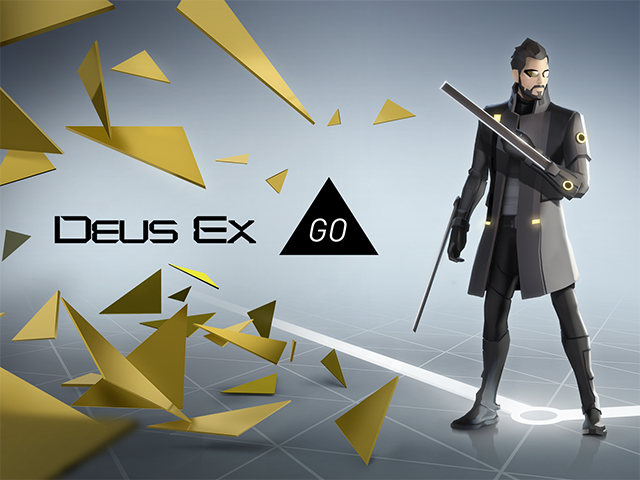 As players complete specific tasks in Deus Ex GO, like finishing every story level or finishing a set of “weekly” puzzles, they’ll be able to receive up to five free Praxis Kits they can use in Deus Ex: Mankind Divided on PC or Xbox One. To be clear, these prizes can’t be used in the PlayStation 4 version of Deus Ex: Mankind Divided. Deus Ex GO is available to download for $4.99 on the iTunes App Store and Google Play.